Will.i.am is taking legal action against Pharrell Williams over the latter's new creative brand "i am OTHER" – claiming that he owns the copyright to the phrase "I AM" and that Pharrell's logo is "confusingly similar," according to official court documents obtained by Rolling Stone. 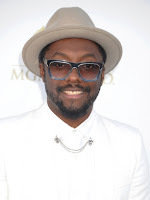 In his notice of opposition, Will.i.am argues that Pharrell would be using his "i am OTHER" brand on clothing and other items in a manner similar to the goods that bear his own "I AM" logo. "The registration of the mark . . . is likely to dilute the I AM mark and the WILL.I.AM mark," the document reads. Lawyers for Pharrell and "i am OTHER" filed an answer to Will.i.am's notice of opposition, denying all such claims. "I am disappointed that Will, a fellow artist, would file a case against me," Pharrell says in a statement to RS. "I am someone who likes to talk things out and, in fact, I attempted to do just that on many occasions. I am surprised in how this is being handled and I am confident that Will's trademark claims will ultimately be found to be as meritless and ridiculous as I do." Representatives for Will.i.am had not responded to a request for comment at press time.